Fire Starting: includes (10) weatherproof matches, (1) striker, (5) Tinder Quik fire starters and (1) acrylic signaling mirror; Rope/Razor Blade: includes 25 feet of 250# breaking strength rope on a wooden spool and (1) single-sided razor blade; Wire Saw: made from high tensile, 60lb working strength woven stainless steel wires with handle straps. Canvas strap handles make it easier to form the wire saw into a bow for the most effective cutting. Cuts through wood, bone and soft metals like aircraft aluminum. Can be used in areas hard to reach with a traditional saw. Standard issue used by the British Military. 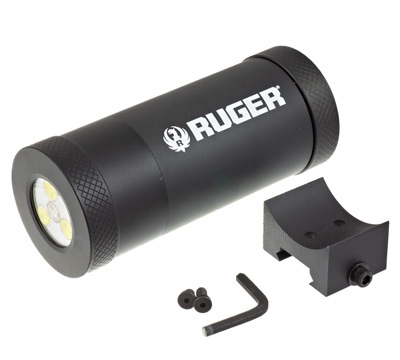 The Mini Cache includes a compass on one end and a 3-mode LED light on the other. 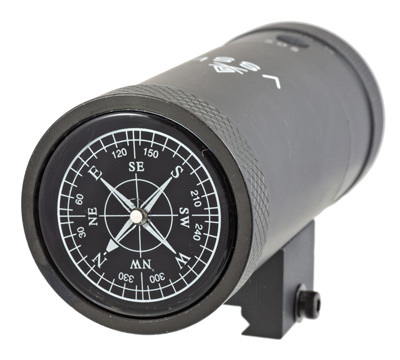 The compass is oil-filled and contains a precision bearing for optimal performance. It is accurate to ½ degrees. 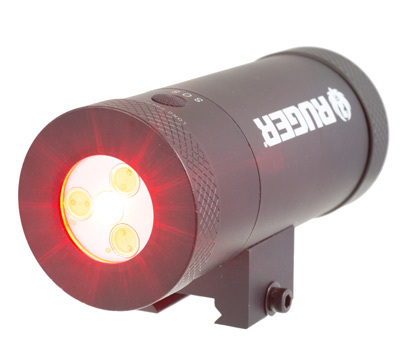 The 200 lumens light can operate for 40 hours on low and 20 hours on bright. It has four settings: low, high, SOS and red. Batteries are included with the Cache. 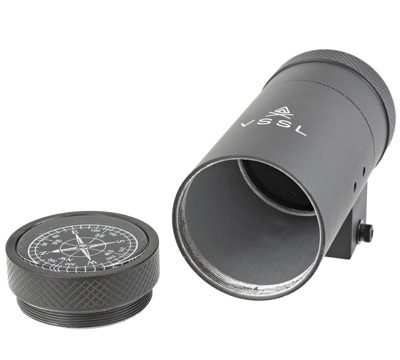 The VSSL container is made from seamless extruded MIL-SPEC anodized aluminum for durability and strength and includes a black Cerakote finish for protection from the elements. The end caps are machined from one piece of solid aluminum and include rubber O-rings to seal the tube from dirt and moisture. 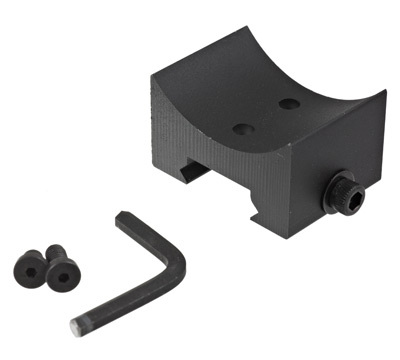 The included Picatinny rail adapter fits any standard rail and attaches quickly with the included hex wrench. Each Mini Cache is 6" long by 2" in diameter and includes prominent Ruger branding. Made in Canada by VSSL.